Happy Thursday! Has your brain been as screwed up as mine this week? With a holiday and seemingly short work week, I have been semi-discombobulated this week. As the family matriarch, I know I'm relied upon to 'keep it all together,' no matter how wonky my week is. Some weeks are more stressful and hectic than others, and I have to tell you- this has been one of those weird, stressful weeks. Some days have me longing for the days of my youth, where my mom would just swoop in with a big hug and words of wisdom to make me feel better. Moms (and dads, and often grandparents and special friends) have a way of knowing just what to say or just what to do in times of uncertainty, illness, stress, and frustration. Even in recent months, I have been in sticky situations and I'm not sure how I would have made it through any of them without my mama by my side. 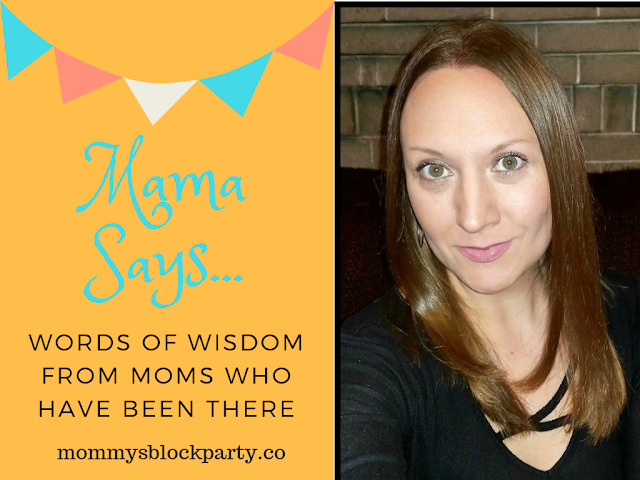 I'm excited to introduce a new semi-regular series on Mommy's Block Party, Mama Says. 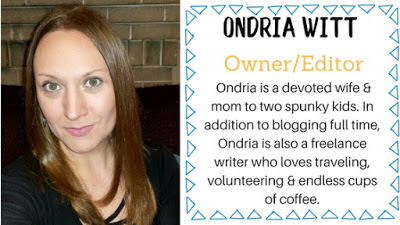 Our team writers and mamas will be sharing words of 'mom wisdom' and advice, meant to make you smile! No one here claims to be a pro when it comes to motherhood, and I think we can all agree that there isn't any one 'right way' to do anything. For most of us, parenthood is trial and error, a learning journey every step of the way. We can't be expected to get through it, however, without a lot of love, laughter, and support. So moms (and dads), we're here to encourage you and lift you up, sharing words that have made an impact on our own lives, or just silly sayings to help you make it through your day. Hugs = Happy. Seems simple, but there are days where my husband and I reach the end of the day and ask each other- 'Have we hugged or touched at all today?' It's human nature to crave affection, and touch is just one of those simple ways we can show others how much we care. Sometimes a hug can be a quick pat, or a long and strong embrace. A word of warning- not everyone is a hugger (I am big on hugs! ), so always ask if you can share a hug if you seem unsure. 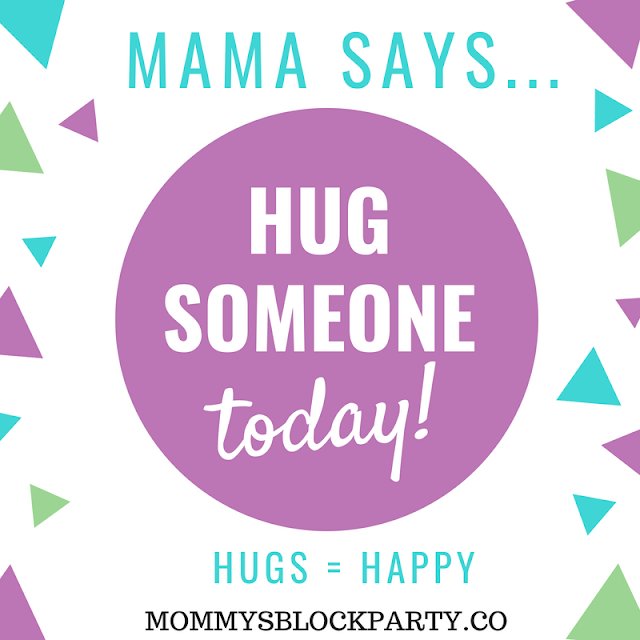 Don't go all day without at least one hug! You'll be surprised what a positive difference something so simple will have on your day! When was the last time you received a hug? Love this! It's so easy to just push through the day, but physical contact is important. It really is... sometimes a hug says it all, and no words are needed. I love my Lindz hugs! They are always so warm and genuine!